The rising R&B artist heads out on Free Spirit Tour! It's safe to say that Khalid's name has been all over the charts for the last two years. 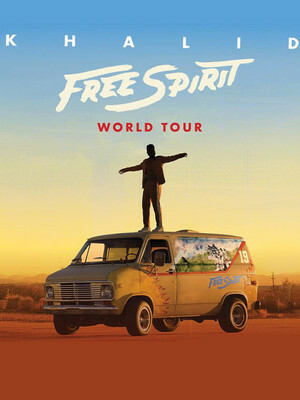 With his second album (Free Spirit) ready to drop in 2019 the young star hits the road on an extensive US tour! 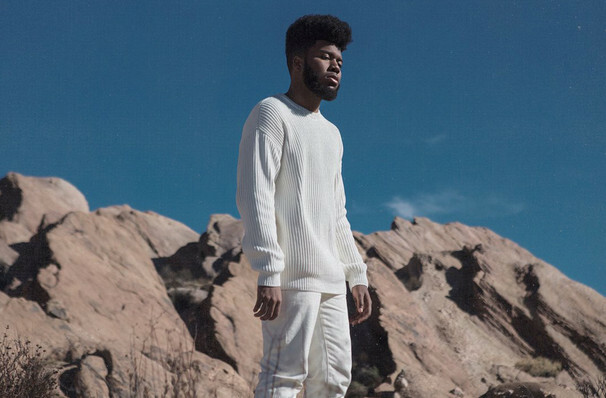 With tracks like 'Eastside', 'Love Lies' and 'Young Dumb and Broke' all to his name Khalid is the brightest new name in popular music. Khalid's debut album, American Teen, earned the R&B singer five Grammy award nominations, including the nomination for Best Urban Contemporary Album. Now the music sensation is hoping to recreate this magic with Free Spirit, be sure to expect more of his dreamy melodies and soothing tones all wrapped up with relatable lyrics and a good dose of goosebumps! Sound good to you? Share this page on social media and let your friends know about Khalid at Spectrum Center. Please note: The term Spectrum Center and/or Khalid as well as all associated graphics, logos, and/or other trademarks, tradenames or copyrights are the property of the Spectrum Center and/or Khalid and are used herein for factual descriptive purposes only. We are in no way associated with or authorized by the Spectrum Center and/or Khalid and neither that entity nor any of its affiliates have licensed or endorsed us to sell tickets, goods and or services in conjunction with their events.